Probiotics is an ideal addition for improving your immunity system. You would have heard about the microbiome which states that their numerous presences inside our body play a vital role in the healthy performance of our immune and digestive system. There are both good and bad microorganisms inside our body. It’s just like a battle between the good and bad. The good microbes help in keeping us healthy and active, and the bad microbes try to make us sick and weak. So as far as you maintain a balanced level of both to keep you protected, then you are good to go. The place where the role of probiotics comes into the picture is that they tend to add up the good microbes inside our system to maintain metabolism. So it is easy to take care of our microbiome level by consuming a probiotic every day to stay put. As we discussed earlier, it is necessary to maintain an equitable amount of both good and bad microbiome level. So while I take up probiotics every day, I tend to gain a balanced level of microbiomes suitable for your healthy wellbeing. So there might be times when the bad bacterium outnumbers the good ones putting our health at serious risk. So when I consume a probiotic on a daily basis, the good ones can be restored even when the bad ones tend to override. So it is like being on the safer side by inducing the good bacteria. Usually, the microbial ecosystem inside our gut is beneficial when it comes to digestion. The bacterium decomposes when fused with food particles inside by breaking it into molecules for nourishing the bloodstream. So if you wish an ample amount of absorption in nutrients, then probiotics become an idea of inclusion to the overall metabolism of our digestive system. So for healthy digestion, and nourishment, you will need probiotics on a daily basis. So when you take up probiotics, it is a fact that even bad breaths can be controlled. That’s how adverse the effect of the microbiome is. Due to healthy decomposition inside the gut, the breath is purified. When it comes to mood factor, the wellbeing of the gut is interlinked with your happiness. Want to know why? Because the chemical fluid in the brain responsible for happiness is manufactured in the gut. So if you wish to be happy, then take probiotics. Health is, of course, ensured because digestion and health are parallel features. So when you have a perfect digestion process, then it is good for health too. 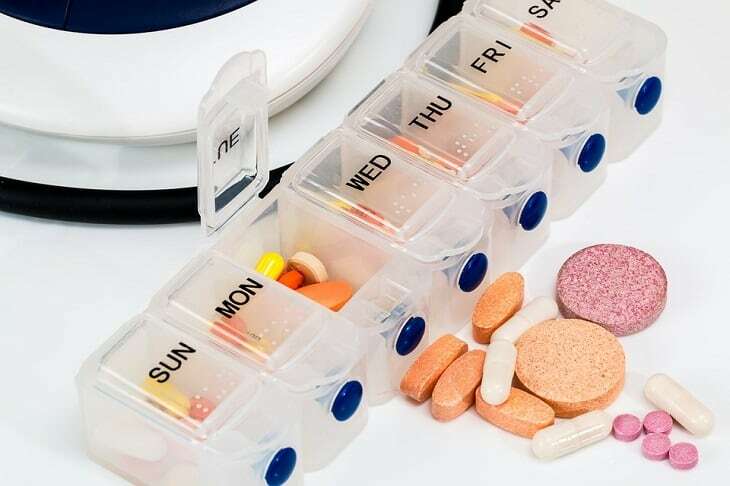 You might find it hard to believe that a regular intake of pills might affect your health. But consumption of probiotics is a breakthrough towards a healthy lifestyle and you can have a chance at it if you take probiotics on a daily basis. Hi Guys, I’d like to take the time to thank you for reading some info about me. My mission here as a writer at Unfinished man, is to entertain and inform on all things, from cars and gadgets, to reviews and life. I have a Bachelor in business but never really enjoyed school. I’d much prefer to spend time working on Unfinished Man than spending my days working long hours in some stuffy office. I love green tea and pistachios and my favourite fruit is pomegranate (weird I know). I hate the water but love nature, especially the nature here in my adopted country of Canada.